She is the party's highly respected foreign affairs critic. NDP MP Hélène Laverdière rises in the House of Commons in Ottawa on May 6, 2016. Another key member of the federal New Democratic Party will not run again in 2019. Hélène Laverdière, who represents the Quebec riding of Laurier-Sainte-Marie and currently serves as her party's highly respected foreign affairs critic, made the announcement on social media Monday. "At 64 years old, I think it is time for me to pass the torch," she said in a series of tweets. "I will continue to fight for justice and equality. I remain convinced that Jagmeet Singh and the NDP is the best option for all Canadians." (1/3) As you may already know, I will not be running again in the next federal election. At 64 years old, I think it is time for me to pass the torch. To represent the people of LSM was and remains one of the greatest honor of my life. (3/3) Keep on fighting for equality and together we can change the world. Laverdière was elected in 2011 as part of the so-called "orange wave" that swept the province under former leader Jack Layton. She defeated then-Bloc Quebecois leader Gilles Duceppe and bested him in a rematch four years later. In 2017, her peers selected her as the most knowledgeable MP for Maclean's magazine's "parliamentarians of the year" awards. Before becoming an MP, Laverdière worked in the foreign service with postings in Chile, Senegal, and Washington. Laverdière told HuffPost Canada if she were to run and be elected again, she'd be committing herself to working in Ottawa until she's nearly 70. Instead, she wants to finish her term and spend more time with her husband, family, and friends. "I think it's important for people like me to leave some space (for) fresh blood, younger generations and all that," she said. Laverdière supported current NDP Leader Jagmeet Singh in the party's leadership race last year instead of her colleagues Guy Caron, Niki Ashton, and Charlie Angus. The endorsement was significant not just because of her foreign policy experience, but also because she was the first Quebec MP to back Singh. "I would have loved to run with him in the next election because I really relate to his values, his principles and the issues he cares deeply about, which are quite similar to my own outlook," she said. "But you know, I'll be there. I'm not going to become a complete hermit." Her announcement comes days after veteran NDP MP David Christopherson, who has represented Hamilton Centre in the House of Commons since 2004, announced he won't run again. 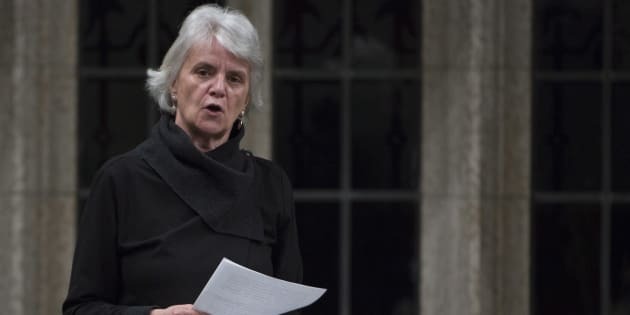 Singh punished Christopherson in March for breaking party ranks to support a Conservative motion targeting Liberals for attaching a clause on abortion rights to summer jobs funding. The NDP leader removed Christopherson from his vice-chair role on a House committee, but reinstated him after caucus backlash. Another veteran B.C. MP, Kennedy Stewart, is stepping down to run for mayor of Vancouver. Former NDP leader Tom Mulcair has also given up his Quebec seat to teach at the University of Montreal. Singh lost another NDP MP in May when he expelled Saskatchewan's Erin Weir from caucus after an investigation into several complains of harassment. But Laverdière says it shouldn't be seen as a worrying sign that some party stalwarts are deciding to retire or do new things, noting Christopherson's political career spanned three decades. "It's a very rewarding life to be an elected representative but it's also very, very demanding," she said. She suggested her looming exit should not be seen as a harbinger of future trouble for the NDP in battleground Quebec. "The values that both the NDP and Jagmeet Singh represent are values that are close to the heart of Quebecers: social justice, respect for the environment, a proper Canadian place in the world," she said. "I am confident."